The Swedish security services has warned of an increase in the number of extremists in the country, rising from just 200 in 2010 to a few thousand now. According to Tornberg, this unprecedented number of extremists living in Sweden is “a new historic challenge,” adding that the police receive about 6,000 secret intelligence reports per month on expected attacks, compared to only 2,000 in 2012. The security official explained that the increase in the number of extremists is due to the existence of a suitable environment that responds to the ISIS propaganda, since the war in both Iraq and Syria brought togethetr extremists in a way that we have not seen before, he stated. The director of the Swedish security apparatus confirmed that militants from Africa, the Middle East and Somalia are in Sweden, but it has till now never witnessed this large number of militants coming from Syria. Since the April 7 terrorist attack in Stockholm executed by an Uzbek ISIS fighter, which resulted in five dead, Sweden has taken new security measures and revised migration and integration policies. Last November, the Swedish government revealed that it was dealing with some 140 Swedish nationals who had joined armed groups calling for violence in Syria and Iraq who have now returned to Sweden. 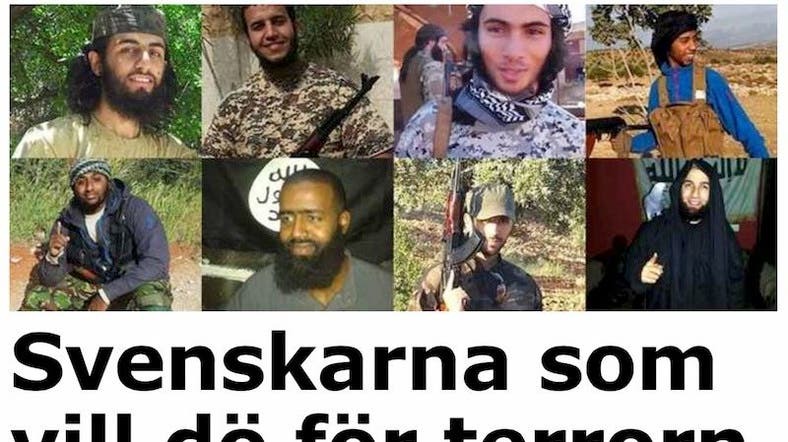 Last year, the Swedish press published names, pictures and short video clips of about 300 people who had been ISIS fighters, of Swedish nationality or who had been given asylum in the Scandinavian country.